In the late 1960s Sydney was one of the most prosperous places on earth and one of the most corrupt. A large proportion of the population was engaged in illegal gambling and other activities that made colourful characters such as Lennie McPherson, Abe Saffron and George Freeman wealthy and, to many, folk heroes. Thousands of American soldiers on their seven-day leave from Vietnam turned Kings Cross, with its strip shows and night clubs, into one big party. The whole corrupt carnival was run by the police in an arrangement known as ‘the joke’. They could just about get away with that term because heroin had not yet turned the underworld into the killing machine it would soon become. Two of the main jokers were also lovers: vice queen Shirley Brifman and violent detective Fred Krahe. 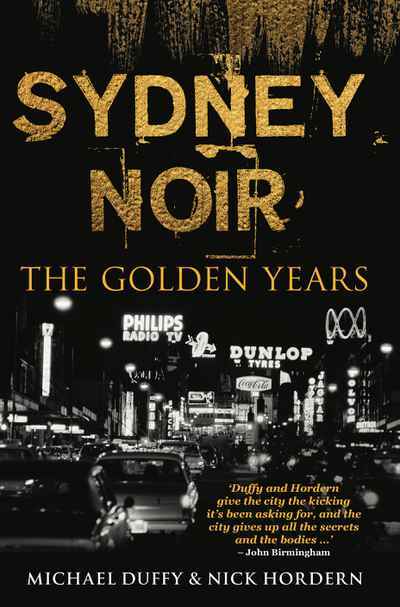 In Sydney Noir Michael Duffy and Nick Hordern revisit this dark yet fascinating chapter of Sydney’s history, telling stories that would be unbelievable were they not true. Finally, they make the bold argument that premier of the time, Sir Robert Askin, may not have been as guilty of corruption as many have claimed.